DESPITE the wooden spoon ending up in the trophy cabinet last season, the Bombers were a Fantasy relevant side in 2016. Some of the season's best cash cows wore the red and black, including Mitch Brown (FWD, $420,000), whose price went up by $205K, Matt Dea (DEF, $435,000), whose price increased by $172K and cult hero Anthony McDonald-Tipungwuti (DEF, $395,000), who added $143K. In his third season Zach Merrett (MID, $710,000) fell eight points short of Patrick Dangerfield after round 23 in an epic year that saw him average 117.6 points. Season 2017 brings a lot of hope for Essendon supporters, with 10 stars returning following season-long anti-doping bans. The Bombers will be relevant once again as we pick our squads before round one. The players returning from suspension have been priced with a 10 per cent discount on their previous season's average. 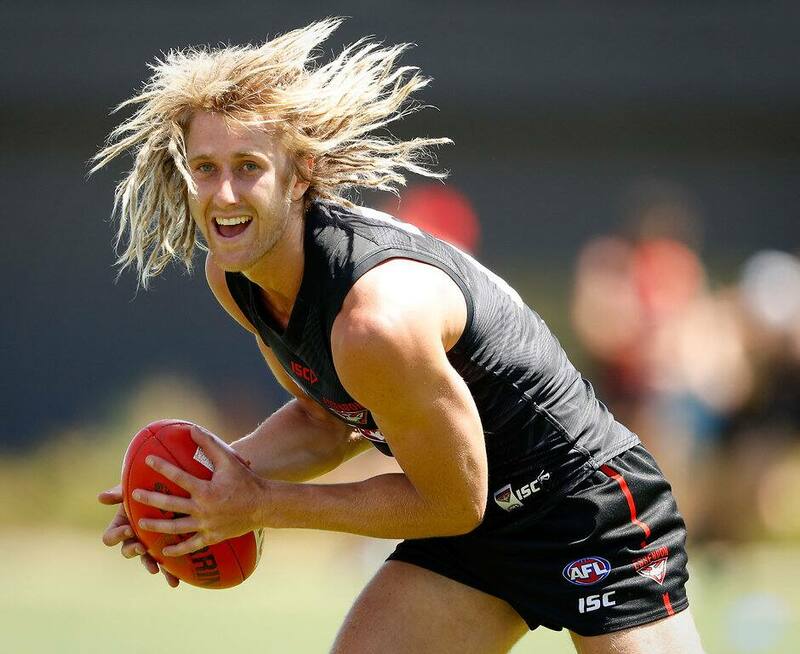 Heading into his sixth full season, Dyson Heppell (MID, $548,000) has proven to be one of the biggest accumulators and most durable players in the game. In 2014, Heppell played 21 games and returned an average of 106.9. His discount has been applied to his slightly lower average from the following year. The key for the lock next to his name could be thrown away, even in December. We've heard Jobe Watson (MID, $477,000) mentioned quite a few times in the off-season, but the main thing Fantasy coaches will be concerned with is how he's looking for the upcoming season. Going simply on appearances, Watson is in great physical condition and his time out of the game has given his body a well-deserved rest. Injury restricted his output in 2015 to average of 88.8, his lowest return since 2008. With the 10 per cent discount applied, Watson is a steal if he can average 100 as he did from 2009 to 2014. A consistent Fantasy performer over his career, James Kelly (DEF/MID, $597,000) was one of the replacement players last year. He was clearly valued as much more than just a top up – he was rewarded with a contract for 2017. It was surprising that Kelly's average of 99.1 was his best ever. He should be in the mix once again as one of the top defenders available. Maybe avoid him to begin with in Fantasy Classic, but if he is still available in your Elite draft after the first half a dozen defenders have been taken, snap him up. We haven't see a lot from James Stewart (FWD, $227,000) in his four years at the Giants, but he is priced low enough to make some dollars when and if he plays. Key forwards are usually on the "do not touch" list in Fantasy, even as cash cows. The 22-year-old kicked 48 goals in the NEAFL last season and averaged 77 Fantasy points. Andrew McGrath (DEF/MID, $250,000) was taken at pick one in the 2016 NAB AFL Draft with good reason. He is a versatile player capable of playing the role of a small running defender or inside midfielder. McGrath averaged 124 points in the TAC Cup and won the best on ground medal in the Sandringham Dragons' grand final win. Don't let the price put you off; he is every chance to make an impact early in the season. It is safe to say David Myers (MID, $197,000) isn't a household Fantasy name. He enjoyed his best season in 2014 averaging 81.2, but followed up with a season that saw him play two injury-affected games, meaning his price is significantly lower than his usual output would suggest. Myers could be a profitable cash cow if named in round one. During his three seasons in the competition, Zach Merrett (MID, $710,000) has demonstrated he has a Fantasy game. Aided by the opportunity presented to him with a permanent midfield role, Merrett averaged 117.6 playing all 22 games, improving his output from the previous season by more than 27 points. With his price so high and many midfielders returning to the fold, it is hard to justify selecting him in your initial line up at that price. Merrett should, however, be considered as an upgrade target when, or is that 'if', his price drops.